A recent survey from the Family Foundation (April 2013) reports four out of 10 Americans don’t know Obamacare is now law. Even fewer Americans and visitors to America know how Obamacare – otherwise known as The Patient Protection and Affordable Care Act – will affect visitors insurance and health insurance coverage for immigrants and temporary residents. Millions of Americans and visitors to the US still have questions about Obamacare and its potential effects on healthcare affordability and eligibility. What exactly is Obamacare? What is the impact of Obamacare on US citizens, immigrants, and visitors to the US? Hear the word Obamacare and what do you think? Free healthcare for everyone? Fines and penalties for non-compliance? A more complicated health system, or a streamlined alternative care solution? Healthcare Reform or the Affordable Care Act is popularly known as Obamacare because President Obama is the man responsible for signing the Act into law. While the name may be catchy, the legislation contained in the Act (which is over 11,000 pages long, or three feet high) is anything but simple. But don’t worry, you don’t have to wade through the paperwork to understand the act and its implications – a few of the details are more important than others for consumers. Obamacare is a US plan aimed at reforming the healthcare industry in the United States. The main focus of Obamacare is to give more Americans access to affordable healthcare, regulate the healthcare industry to benefit consumers, reduce healthcare spending, and improve healthcare quality. Obamacare was signed into law on March 23, 2010 and will apply to US citizens from the beginning of 2014. Obamacare brings with it several key features including the development of a Health Insurance Marketplace where Americans can buy subsidized health insurance. Most citizens and legal residents of the United States must have health insurance coverage by January 1st 2014. Citizens without health insurance must pay a fee with their year-end taxes. You cannot be denied health insurance if you have a pre-existing medical condition. Health insurance plans must contain clear summaries of coverage and benefits. Health insurers can no longer charge higher rates depending on gender. Medicaid and Medicare are expanded to allow uncovered Americans to access health insurance. Many US citizens will be eligible to buy subsidized health insurance on the Health Insurance Marketplace. Visitors insurance offers a number of benefits for people coming to the United States who are not eligible to buy insurance in the Health Insurance Marketplace. Cover is included for simple illnesses like the flu or an ear infection, to serious life-threatening conditions such as heart attack. You also get cover for prescription drugs, doctor’s visits, and often repatriation and emergency evacuation. Coverage is for visitors from outside the country to all states in America. You may not be able to buy a subsidized health insurance plan through the Health Insurance Marketplace but by shopping around you can, as a visitor to the United States, find affordable short-term health coverage. It is important to compare benefits under different health insurance plans because some will be more expensive with the initiation of Obamacare, while others will offer increased benefits and cost savings. Do Doctors Accept Visitors Insurance Plans Under Obamacare? What happens if you are traveling to the US and you get into an accident. You have a visitors insurance policy but how can you be sure it will be accepted by doctors and hospitals now working under the Obamacare legislation? Do you need to purchase an Obama-approved visitors insurance plan? All plans are different although most will apply to the Affordable Care Act in the same way. Visitors insurance plans may provide benefits that match the levels expected of Obamacare policies, but they are exempt from the Affordable Care Act conditions by being limited duration policies designed for international travel or temporary living. Consequently, the doctors and hospitals you visit in the US will work with your visitors insurance in the same way as in pre-Obamacare days. 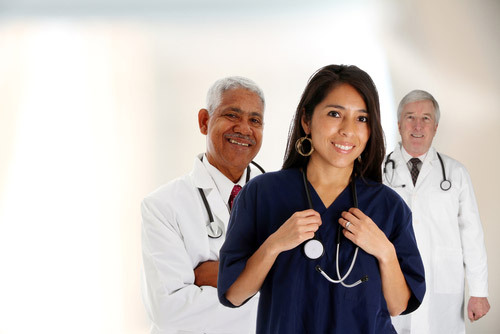 A doctor will treat you under your insurance and will then bill you or bill the insurance company direct, depending on the arrangement they have with the insurer. Bear in mind that is it useful to buy visitors insurance from a US insurer. When you buy from an American company the hospital will generally bill the insurance company direct, meaning you don’t need to pay anything out of your own pocket. 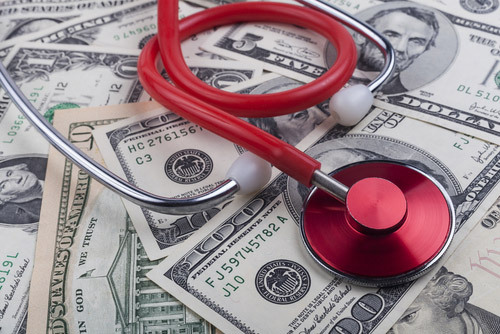 The process can be more complicated when working with international health insurers – in most cases you will need to pay for your treatment and then make a claim with the insurer to get the money back. For convenience and peace of mind, a US-underwritten plan makes life easier for you. Not everyone is a fan of Obamacare. The Affordable Care Act has been the subject of intense debate ever since it was first instigated, and will continue to inspire columnists and commentators to voice their opinions on Obama’s healthcare policy for many months to come. Critics point to the fact that in order to insure the millions of Americans that are currently uninsured, the premiums of many people will have to go up. However, Obamacare’s Health Insurance Marketplace is designed to get around this problem by providing the opportunity for low-earners to access subsidized plans. High earners will be taxed more in order to meet shortfalls. Some employers, it is claimed, have cut workers’ hours in order to make sure they don’t have to comply with the Obamacare legislation. Other critics claim the Act concentrates more on getting everyone covered than it does on addressing the high cost of US health care in the first place. Obamacare stands to make a big difference to how the healthcare system operates in the United States. It remains to be seen whether all the changes will be beneficial for citizens and residents. 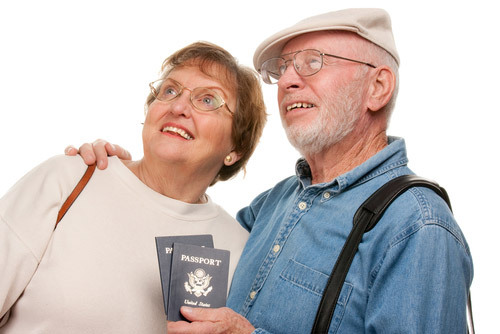 However, one thing is for sure – if you are not a US citizen or are in the country for a short period of time, you must continue to purchase a travel insurance or visitor insurance plan before every visit, in order to safeguard against the high cost of healthcare in the country.